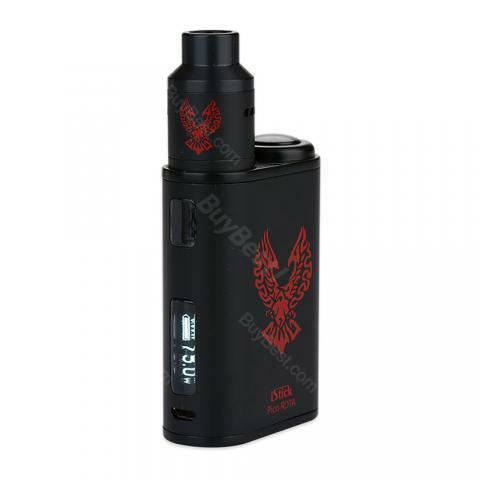 Eleaf iStick Pico RDTA TC Kit is a compact AIO style device. It built in a 2300mah battery and an Internal RDTA tank. 4 colors. IStick Pico RDTA is an all-in-one style of the visual design, and shows same great performance as the popular iStick Pico and a creative rebuildable dripping tank design. The packaging is compact and fashionable. The tank can easily be filled with liquid because the base has a large filling port and an internal light to help check the e-juice level. Removable coil deck, an 8-Hole Extensive and adjustable airflow, a large top fire button and a simple installation system makes iStick Pico RDTA become one of the favorites of all build enthusiasts. The goods came quickly enough, in about 12 days, which pleased me. The device itself is in excellent condition, the complete set is complete, satisfied with the purchase. Thank you. Eleaf iStick Pico war sehr schnell da in einem super Zustand es macht sehr guten dampf auch die stufenlose Luftzufuhr funktioniert einwandfrei bin sehr zufrieden damit würde es weiterempfehlen. Bought 75W Eleaf iStick Pico RDTA TC Kit for my male friend as a gift, then he confessed his love to me!!! Really Thanks, Eleaf and buybest!!! !